The small arena of the “Sheriff” sports complex is the second playground of the sports complex. It started functioning on September, 2002. The arena is intended for 9300 spectator seats. Besides the football ground 105 to 68 meters sized there are six running tracks satisfying by its parameters to standards and requirements of the international association of track and field federations, required to track and field running tracks. The football ground has an automated watering system and equipped with underground heating system, that gives a possibility to bring the grass into suitable condition for any match day during an autumn-winter period. The drainage system of the small arena allows providing quick disposal of all types of surface moisture that maintains a functionality of the surface on match period. The drainage has also sufficient systems of self protection from pollution in order to avoid frequent cleanings and repairs of a system even when it is in active operation. 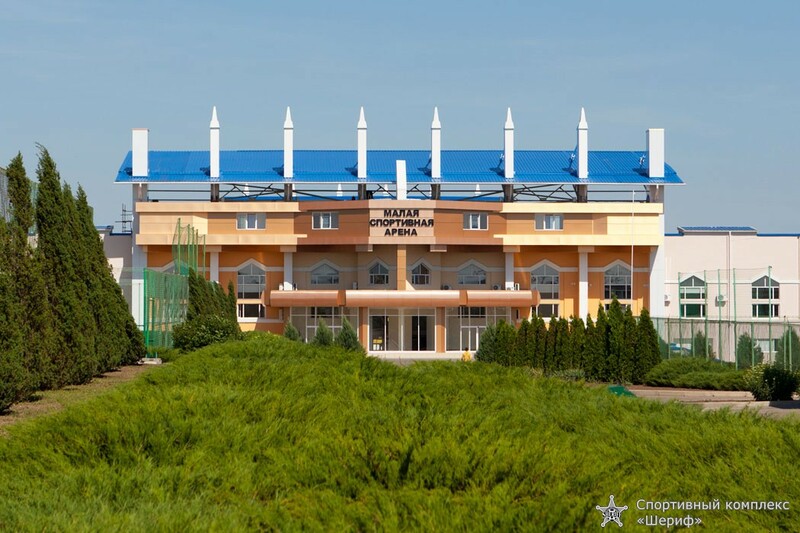 On the small arena of the “Sheriff” sports complex football competitions of republican and international levels are being held, in which teams from Europe, Baltic and CIS countries took place. 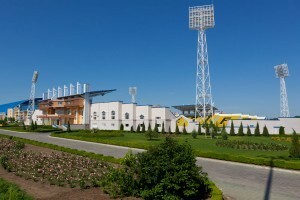 This 2011, the small arena take matches of the National Division of Moldova till scale reconstruction of the main arena of the “Sheriff” sports complex is ended. The arena illumination is carrying out from 50 meters masts and operates in four modes: 400, 800, 1200 and 1600 lux. The power system of the stadium passes on to a reserve power automatically, and, if necessary, – to autonomous mode, if main power source is cut off. The small arena is equipped with up-to-date sound equipment from the well-known German “Electro Voice”. It allows creating clear sound effect pointed on tribunes. All conditions for TV-live broadcasting matches at the stadium are met with, according to UEFA requirements. On tribunes there are individual metal tip-up seats. There are buffets and lavatories for spectators in under tribune premises. Above the southern tribune up-to-date colorful scoreboard with total area of 48 square meters from the leading European manufacturer “Tecno Vision” is mounted. Scoreboard possibilities allow informing spectators about lineups, current match score, viewing replays of impressive playing moments, etc. The stadium TV system allows broadcasting matches live on the scoreboard. At the western tribune there are conference-halls, mass-media and press photographers offices, commentator cabins and positions, the box for the press, closed VIP-boxes and “the hospitality area”. The stadium has up-to-date dressing-rooms for players and referees (including women), meeting all up-to-date UEFA requirements. Dressing-rooms of teams (visiting and home) include massage rooms, lavatories, shower cubicles and intended for stay of teams. Around the arena there are lawns with evergreen grass, parking and convenient control posts through which spectators come to the stadium directly. The European football union has renewed regulations about stadium infrastructure (version 2010 – 2011). In this connection the scale reconstruction of the small arena of the “Sheriff” sports complex began on 2011. Works under full changing of football ground by natural surface from Austria, improvement of heating and drainage systems were made. New commentator cabins and VIP-boxes, boxes for the press and offices for UEFA employees were built. 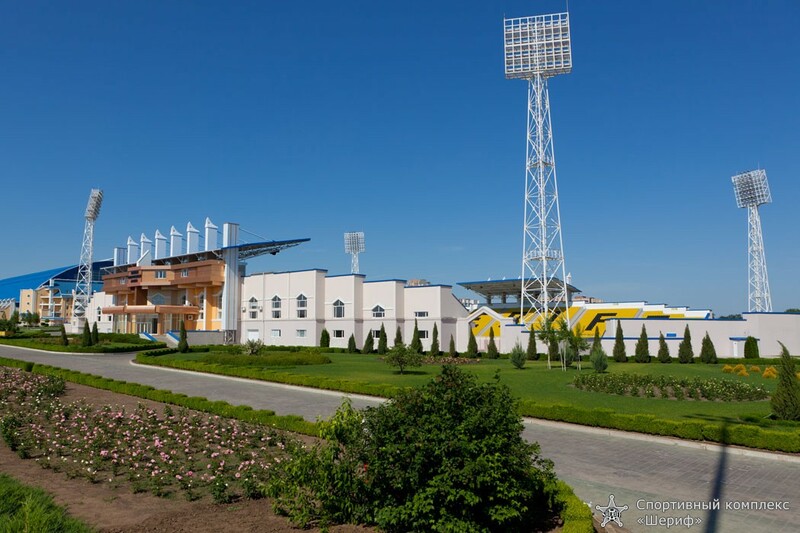 According to new attentive requirements, the small arena of the “Sheriff” sports complex, together with other changes made at the small arena, can get the third UEFA category allowing international matches of UEFA Europa League and Champions League level to be carried out.